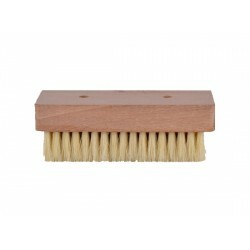 1 brush per pack.100% NATURAL BOAR BRISTLES.These brushes have the highest density of boar hair bristles on the market. Extra tough handlesensure long life, better than the rest, test it for yourself.Cleaning head measures: 60 x 20mm. More than 20,000 boar bristles. 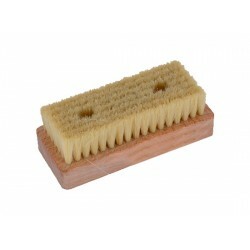 This product is specifically formulated for cleaning climbing holds. Delivered to you in the form of solid crystals, giving greater ease of handling, transport and storage than traditional acidic liquids.Clean your holds easily with our new grip washer. This brush is bigger than most without being a monster. Great for cleaning large holds and fastremoval of chalk from natural rock, something we should all pay attention too. 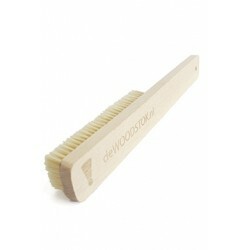 With its wide handleyou can deliver the best pressure on this boar hair brush which is custom made in Holland.